The Morning Advertiser's annual list of the top 50 most influential pub people was published this week. Top is Tim Martin, chairman of JD Wetherspoon up from 3 last year. CAMRA's Mike Benner moves up from number 42 to 29th most influential. The folk passionate about real ale are becoming more influential in the industry on the back of its surge in popularity. Long may it continue. Nice to see Feargal Sharkey a new entry at number 50 for his campaigning work regarding live music in pubs. I have just watched Scunthorpe players waste a great deal of champagne by spraying it in celebration. The German's at Wolfsburg take a more sophisticated approach by using beer - to celebrate their first Bundeslige title. Something different today with a trip to the allotment to taste Ruddles Rhubarb beer from Greene King. The beer is a 4.7% beer flavoured with rhubarb. It was the winner of the Tesco Beer Challenge in 2007 and remains a regular in their stores. The beer has a distinct vanilla aroma, followed by a slightly synthetic tasting rhubarb sweetness - reminiscent of old-fashioned rhubarb and custard sweets. This is balanced by a lasting bitterness provided by the Brambling Cross hops. It is not a session beer but is pleasant enough on a warm day for refreshment and provides an interesting if somewhat unchallenging flavour. Apologies as usual for the production quality of the video. Apologies for the aircraft noise - the price of living 6 miles from Heathrow. Apologies for the slip of the tongue - I meant rhubarb fool of course, not raspberry fool. And apologies from the passing gardeners who put me off towards the end. I prefer to leave it as a one take (so long as my head is in-shot), so all of the shortcomings are part of the "charm". You can also find some of the older video blogs here. I have deliberately not made any comment on the House of Commons, Business and Enterprise Committee Report on Pub Companies and the future of the tie, preferring to sit firmly on the fence. However, I have found and read the on-line version of the report. Apart from giving a good overall understanding of all of the issues, some of the fine detail of business practices within the industry is fascinating to put it mildly. You too can download the 82 page report here if you feel so inclined. Post script : I have just learned also that the 316 pages of oral and written evidence is available for download here. The shop at the Fuller's Brewery in Chiswick had a refurbishment and re-opening recently. Now they have improved the opening hours and are open from 10am to 8pm on weekdays and 10am to 6pm on Saturdays. There is currently a 10% discount voucher available by email from brewery.shop@fullers.co.uk for all purchases made before the end of May. On my way to Wells and Youngs Brewery in Bedford this week, I took a detour via the local Wetherspoons in the town centre having arrived somewhat early. The pub this week is showcasing the beers from Great Oakley Brewery, a new one on me and probably one I won't see again for a while. The beer was good, both the mild and the stronger Tailshaker. They weren't the best beers I had tasted recently but but they certainly were the cheapest. The promotion was selling the beers at £1.50 a pint and by the time I had volunteered one of my CAMRA vouchers, it was a pound. Of course there are many who say this is not a good thing, there are many pubs in Bedford already boarded up and plenty more on the breadline. For me, on that day, I thought it was excellent value. This is an opportune time to pass on the information that the Wetherspoon in Surbiton, The Cap in Hand, will be showcasing the range of eight beers from Twickenham Brewery over this coming weekend. Take a bit of extra money though as the price there will be £1.59 a pint. The Kings Arms, Albion Road, Twickenham is also showcasing Twickenham Brewery beers this weekend. As this is not a Wetherspoons, the beer will not be a cheap as £1.59 but is a good pub and worthy of a visit all the same. What a terrible place is a pub with no beer! As to stand in the bar of a pub with no beer. When the barman says suddenly, "The pub's got no beer!" It's no place for a dog, not a pub with no beer! He walks in the kitchen; she says, "You're early, my dear,"
Then he breaks down and he tells her that the pub's got no beer. Find the story of this humourous poem here. One pub that I have heard good things about over the last year or two is The Eagle Ale House in Battersea. Being slightly off my usual travel routes, I have never visited but next week brings an ideal opportunity. Just a quick line to tell you about our Micro Brewer Beer Fest, this Spring Bank Holiday weekend, 22nd to 24th May. We will have over 40 beers on gravity and handpull, and most of them will be seasonal. The Friday entertainment will feature a Scratch Comedy Night organised by our up and coming young locals, with an all day Sunday Music Festival. Admission to the Beer Festival will be free as will the MusicFest, with the Scratch Comedy admission at £3 to cover their costs. The address is The Eagle, 104 Chatham Road, Battersea, London, SW11 6HG. Clapham South Tube, Wandsworth Common Station and Clapham Junction are all approx within 12 minutes walk. On my recent trips to Fullers and Sambrook's breweries, it struck me how different in scale they were when I saw the spent grains being removed from the brewery to be taken away by farmers for animal feed. I took two short videos and then had to work out how to present them together. Here is my first effort at movie making - not bad for a luddite - but then again - not brilliant. I hope you agree though that despite the shortcomings of the arty side the point is well made. Fuller's is a large brewery that brews excellent beer. Sambrook's is a small one with excellent beer. The brewing process is very similar - attention to quality will always give a good product. Final apology that the blog has become slightly Fuller's and Sambrook's centric. I must get out more. Another video taken on Sambrook's Brewery open day with David Welsh showing off his fermenters. Sambrook's Brewery in Battersea recently held an open day to give their customers a chance to have a look an the inner workings of their local brewery. I went along and took the opportunity to video some of the talks given during the day by David Welsh, one of the partners at Sambrook's. David had spent some twenty odd years at Ringwood Brewery so knows a thing or two about brewing. I think his passion for the beer comes through well but my video skills need some improvement. As we approach the European Parliamentary Elections on June 4th, the European Beer Consumers Union (EBCU) has published a manifesto setting out what the beer drinker should want from the EU. Copies of the manifesto are being sent to all candidates and parties contesting the elections as well as the usual media channels. The EBCU punches well above its weight when lobbying the European Parliament. 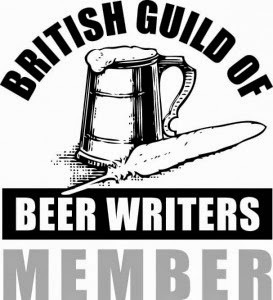 Apart from the 100,000 CAMRA members the other twelve bodies that make up EBCU can only muster a further 20,000 members combined. It is easy to underestimate CAMRA's influence in UK politics let alone Europe-wide. So when the canvassers start knocking on your doors in the coming weeks ask them what their candidate intends to do for the beer drinker and whether they have signed up to support the key aims of the manifesto. For some time now I have been seeking an addition to my bookshelf in the form of a beer cook book. Not just any beer cook book. 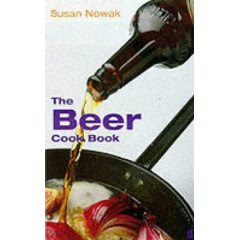 but The Beer Cook Book by Susan Nowak that was published in 1999. It has been out of print for some time and whenever I have looked on Ebay or Amazon, the search has proved fruitless. (admittedly it was only an occasional search). Last week, I looked on Amazon and there are now plenty of second hand copies available through their merchants scheme. I paid 24p plus £2.75 postage but I notice there is now even a copy available for 11p. It is a 300 page paperback with an original cover price of £9.99. Many books on beer and food published more recently are more lavishly illustrated but often do not hit the mark for me - though I admit The Brewmaster's Table by Garrett Oliver is an excellent read, it is not really what you might call a cook book. 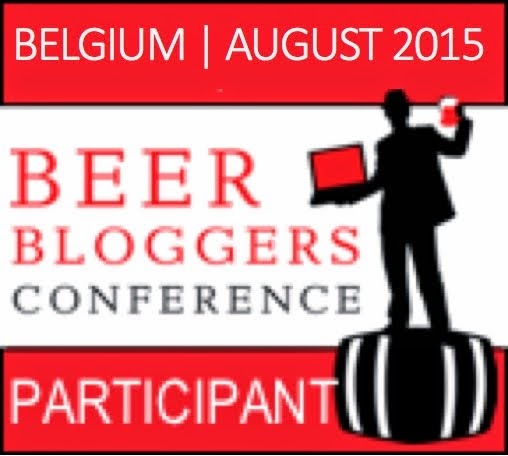 Personally, I am not really one to intellectualise on beer, preferring simply to enjoy drinking the stuff. However, I am interested more in beer used as an ingredient rather than beer and food matching. Susan Nowak's book is not particularly well illustrated but it is clearly written by an enthusiastic beer lover. It is not just a collection of over 150 recipes including beer. It covers all parts of the menu from soups to desserts, vegetarian, baking and pickling. It also includes every style of beer that you can think of. Her passion for beer comes across in her writing making it a good read as well as a reference volume. Some of the beer choices do seem a little dated (remember King & Barnes Festive ?) some 10 years later but that is just the passage of time. It does not detract from the enjoyment of this book and will not prevent me coming up with my own suggestions when trying out some of the recipes. Bon Appetit and Cheers ! "I Am A Craft Brewer" is a collaborative video representing the camaraderie, character and integrity of the American Craft Brewing movement. As well as the excellent range of beers, Fuller's brewery is famous for having the oldest wisteria in Britain. This week I was lucky enough to visit the brewery when the plant was in full bloom.